The parents of little Elaine are appealing to the general public and corporate institutions to come to their aid as they source for funds to fix a defect in her heart. The visibly hearty, but ailing seven-month-old girl has three holes in her heart and needs about $12, 000 to add to what they have already raised for the surgery in India. Little Elaine needs to urgently go under the knife to fix the heart defect else might die by the time she clocks 1-year. 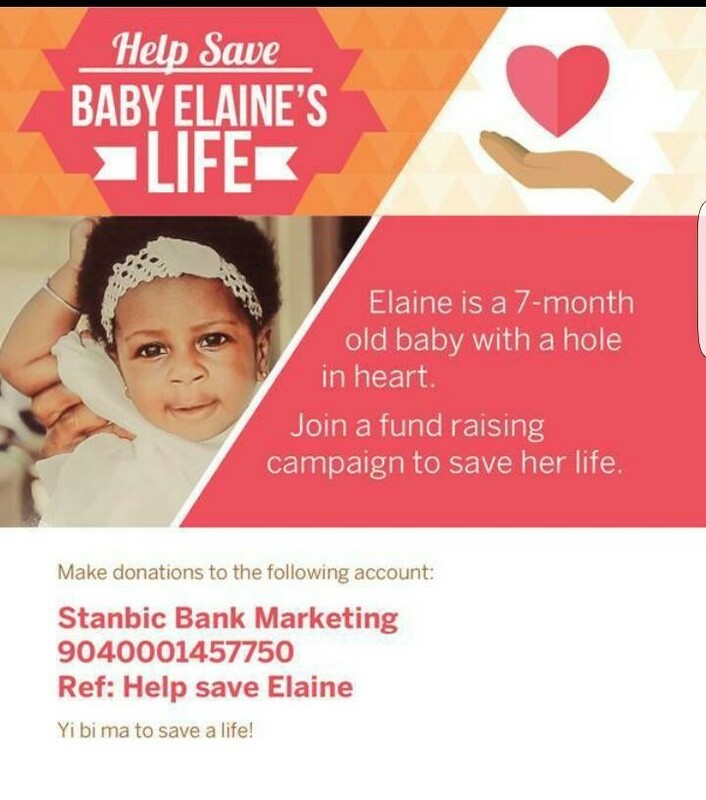 Donations can be made at any Stanbic Bank branch by asking for the reference “HELP SAVE ELAINE” or into the account No: 9040001457750. You can also send cash to support little Elaine through mobile money number 0246998878 (Abigail Boatema Missah).